Labuan, situated off the coast of the Malaysian state of Sabah on the island of Borneo, is a well-kept offshore secret. Whose name is derived from the Malay word for “harbor,” is a base for several international companies that have chosen to call this Southeast Asian territory home, thanks to attractive tax benefits offered by the Malaysian government to businesses incorporated here. Created in 1990 as Malaysia’s only offshore financial center to help boost the country’s financial services sector and attract investment from around the world. Labuan International Business and Financial Centre’s (IBFC) focus is in five key areas: offshore holding firms, wealth management, private and public funds, captive insurance and Islamic finance. 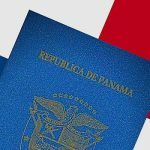 This jurisdiction offers no-tax or low-tax corporate structures, low operational costs, and a range of other benefits to foreign firms that have set up here. 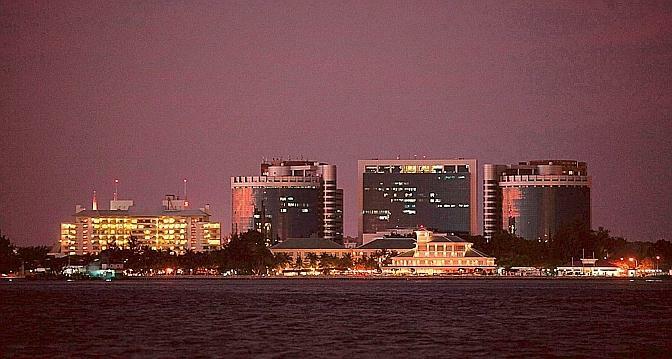 Since the 90s, Labuan has grown to become a home to nearly 7,000 offshore companies and financial institutions, including the world’s leading banks. By providing low-tax structures as well as easy access to key markets in the region, Labuan has become increasingly popular among Asian businesses, which include the region’s largest low-cost carrier, AirAsia. According to the airline, by choosing to base its operations in this jurisdiction, it has managed to save millions of dollars annually and keep its fares low in the competitive regional airline industry. Labuan International Companies may be wholly owned by foreigners, without the need for a local partner. Firms that trade internationally can choose to be taxed in two ways: they may pay 3 percent of their net profit, or a flat fee of RM20,000 (approximately US$4,900). This is good news for both small and large businesses. For example, an e-commerce company that makes a profit of US$100,000 a year may opt for the 3 percent tax rate and pay US$3,000. Conversely, a firm that makes millions annually may choose to pay the flat US$4,900 fee and keep the rest of its earnings. Investment holding companies, meanwhile, are free from taxes on income earned outside Malaysia. All Labuan businesses are also not subjected to other taxes such as sales tax and custom and stamp duties. Additionally, non-resident directors of such companies are not required to pay personal taxes on their salaries, unlike foreign directors of onshore Malaysian businesses. 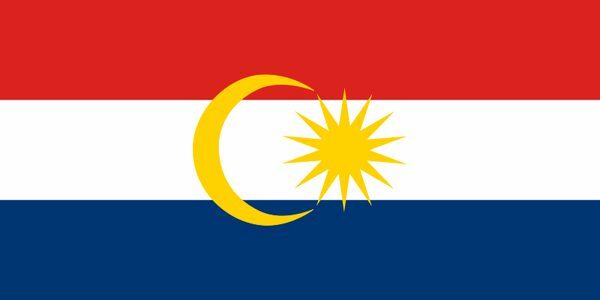 As a federal territory of Malaysia, Labuan is protected by the country’s sovereignty. As such, foreign owners of Labuan companies may take advantage of the double taxation agreements that Malaysia has with a total of 68 nations, which include the United States, Canada, the United Kingdom, Australia, India and Singapore, and can opt to be taxed in Malaysia instead of in their home country. While offshore companies in certain jurisdictions are not allowed to conduct businesses locally, Labuan companies are permitted to trade in the Malaysian market, though a corporate tax of 24 percent will be levied on such businesses. Labuan companies may open foreign currency accounts anywhere in Malaysia or elsewhere in the world. Within Labuan, banking is simple, straightforward and transparent. Here, anyone is allowed to open a bank or brokerage account, and the time taken to do so is far shorter than in places such as Hong Kong. There are over 300 financial institutions based in Labuan, including leading banks from around the world, so companies incorporated here have access to lenders such as Citibank, DBS, and JPMorgan. And unlike some offshore places like the Cayman Islands or Seychelles, for example, banks here do have professional bankers staffed at their branches. Besides offering low taxes and easy banking, Labuan is also a reputable jurisdiction that provides a good business climate to companies that choose to operate here. Labuan companies are allowed to set up management offices in the territory itself, with marketing offices in Malaysia’s capital Kuala Lumpur or Iskandar in the state of Johor. They may also hire local Malaysians, and thus take advantage of lower labor and rental costs offered by this jurisdiction. Infrastructure here, as in the rest of the country, is one of the most developed in Southeast Asia, and Malaysia’s telecommunications network is second only to Singapore’s in this region. Additionally, despite the strong Islamic influence in the country, Malaysia, which is currently ranked 18th on the World Bank’s Ease of Doing Business list, is largely ruled by common law, thanks to its British colonial heritage. While the country aims to be a top Islamic finance center, non-Muslim individuals are not held accountable to Islamic finance law. English is also widely spoken by its multiracial population, which comprises people of Malay, Chinese or Indian descent. 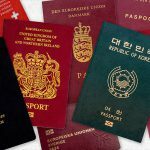 Foreign owners of Labuan companies are eligible to apply for a two-year multiple entry business visas. This visa may be extended to include spouses and children below the age of 21 as dependents, and visa holders are allowed to reside in Labuan itself or anywhere in West Malaysia. If you do set up offices in Kuala Lumpur, you can look forward to also enjoying the vibrant city life that the capital offers. Alternatively, residing and working in Iskandar allows you to take advantage of the lower cost of living there, and yet be able to enjoy the excitement that a city like Singapore, which is just minutes away, can provide. It would be like living in New Jersey and going to New York to party and play. Foreigners are eligible to be both a director and shareholder. There are no minimum capital or authorized share capital requirements, and companies may be set up remotely, with no travel needed to complete the registration. Business transactions must be settled in currencies other than the local ringgit currency, except for the purpose of covering administrative costs or receiving fees and commissions. Trading companies that opt to pay the flat taxation fee of RM20,000 do not require auditing, but those that choose the 3 percent rate must submit an audit report each tax year. Investment holding companies are free from taxes on earnings outside of Malaysia and do not require auditing.